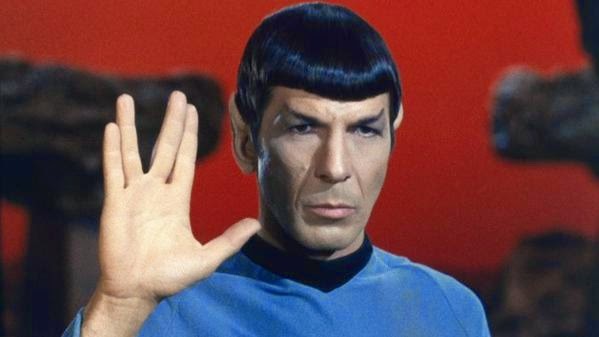 I think part of it is that of all those in our pop culture, Leonard Nimoy's departure has impacted us the most. And I think it stems surprisingly from how Nimoy never seemed to be one who thought of himself as "celebrity" per se. He was instead the ideal of what it means to be human: someone who explored all avenues of the human experience. Here was a man of profound faith from his background in Orthodox Judaism. He was devoted to his family. He had a military background (sergeant in the U.S. Army). He played guitar. He wrote volumes of poetry. He was an artist. He was a photographer. He was a film director and one of them, Three Men and a Baby, was the top-grossing movie of 1987. He did ALL of those things and so many more, in addition to being an accomplished actor on television and on the big screen. And yes, as he eventually came to acknowledge, "I Am Spock". But from everything that I have come to know about him, Nimoy remained exceptionally humble and down-to-earth. And he was never one to shy away from letting his hair down: witness "The Ballad of Bilbo Baggins" and his rendition of "Proud Mary". I learned a long time ago that the best way to take this life seriously, is not to take it TOO seriously. Bearing that in mind, Leonard Nimoy was one of the finest exemplars of that notion who I have ever come across. It's hard to deal with because Nimoy personified the best of humanity. And it really is hard to believe that we are now in a world without him.